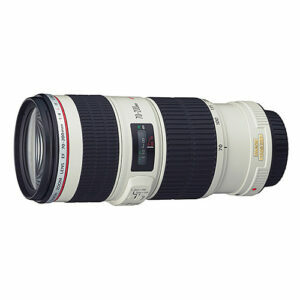 Lens Description: The EF 70-200mm f/4L IS USM is a lightweight, compact L Series telephoto zoom lens with Image Stabilizer. The optical Image Stabilization in the new EF 70-200mm f/4L IS USM lens provides up to an incredible four stops of shake correction-a first for Canon IS lenses. The use of fluorite UD lens elements provides excellent optical performance in terms of resolution and contrast. These features, together with its water-and dust-proof construction, provide both the performance and portability to meet user demands. I wanted the F2.8 II version but there was no way I could afford it, so went for the IS version of the F4. Am I glad? Yes! Sharpness is unbelievable, IS really works, can take sharp photos handheld down to about 1/15 second. It’s comparatively light and not too big, so can carry around all day, as I have at horse shows for example. Definitely worth it and get the IS if you can. I too wanted the F2.8 II version but I could not afford it, so went for the IS version of the F4. I love this lens. Sharpness is unbelievable, IS really works, can take sharp photos at volleyball games and we all know that gymnasiums are not very bright. I do however have to set the ISO to 6,400. It’s comparatively light and not too big, so can carry around all day.